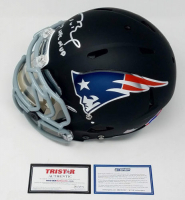 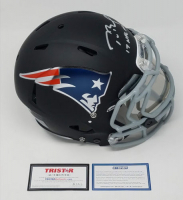 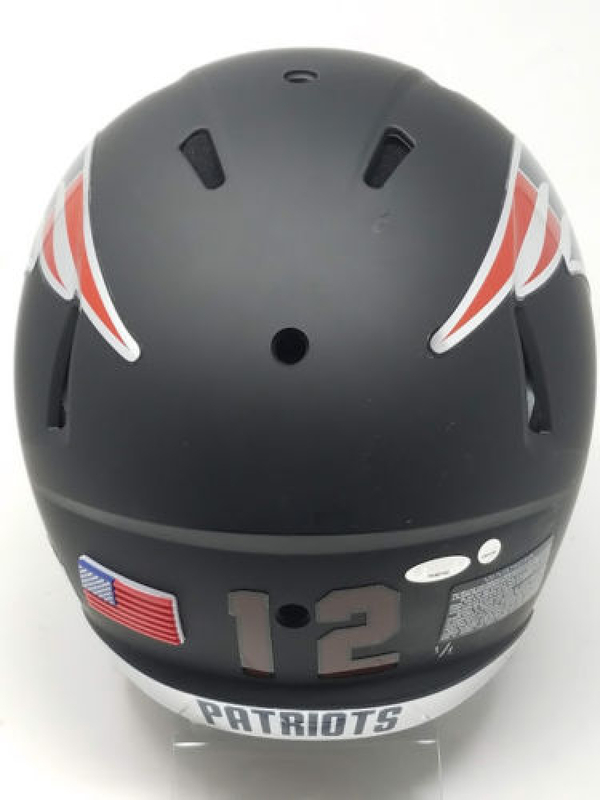 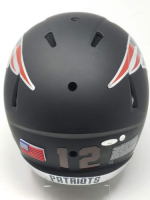 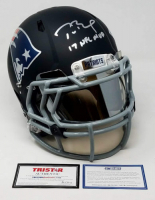 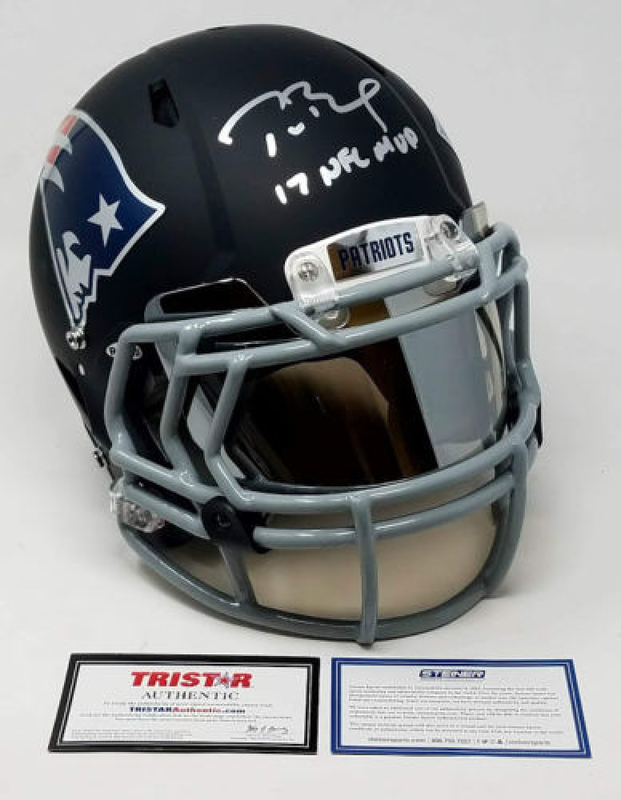 New England Patriots custom black matte full-size authentic on-field helmet. 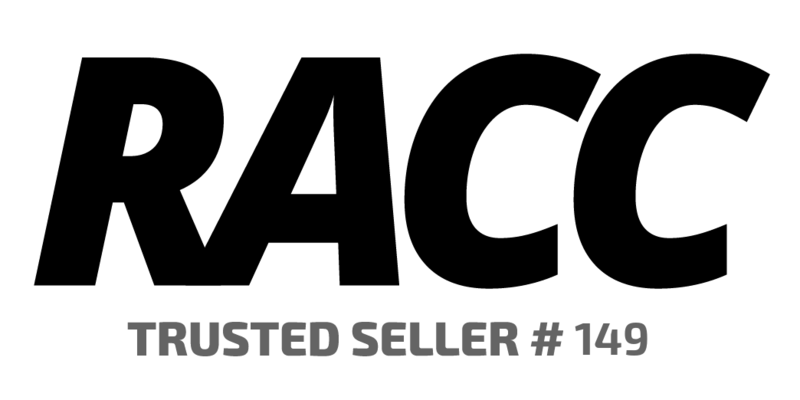 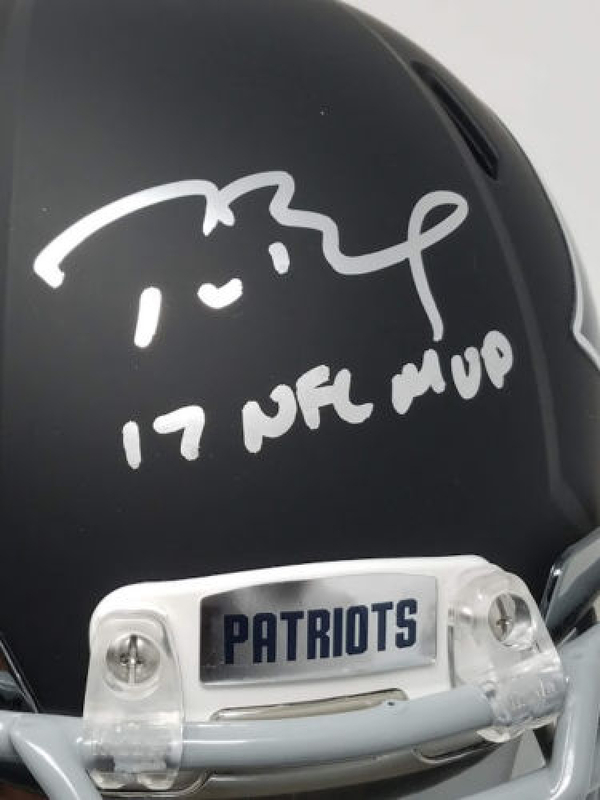 Hand-signed in white paint pen by Tom Brady. 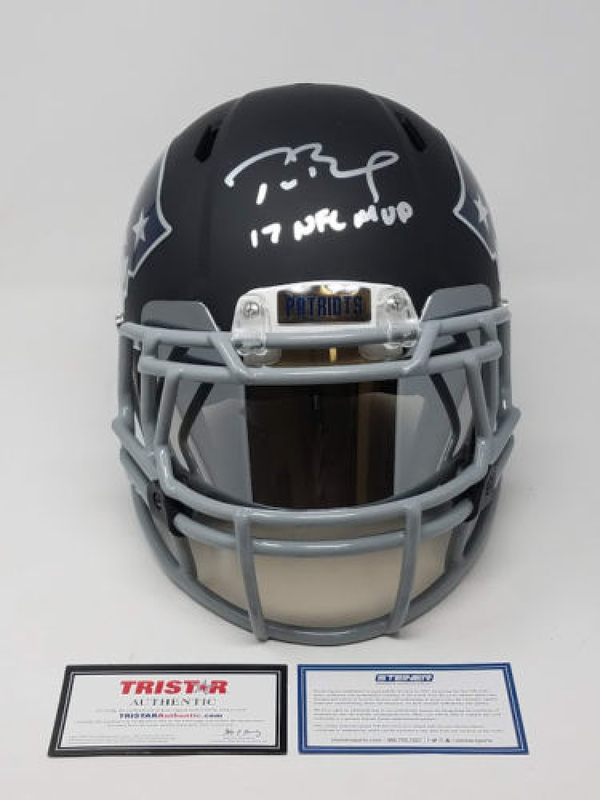 Helmet is limited edition and has been hand-numbered #1/1.